Timothy Chen is responsible for VIA worldwide business development and strategic partnerships for VIA Technologies, Inc., a leading innovator of PC silicon and platform technologies. Besides presiding over VIA’s Global Sales & Marketing, he serves as technical assistant to the President and CEO of VIA, Wenchi Chen. With VIA since 1996, Chen began his career in its Taiwan headquarters, where he managed the sales and marketing offices of Japan and Korea. Chen holds a Bachelor’s degree in Engineering from the University of California Berkeley. 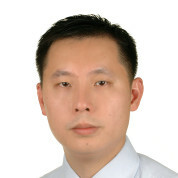 Timothy Chen also holds board and advisory positions at a number of technology companies. Tim is involved in social ventures, social media, premium content providers, hardware companies at the semiconductor & system level, faith-based endeavors, a premium winery in China as well as being a hobbyist angel investor. He is a 2011 World Economic Forum Young Global Leader.